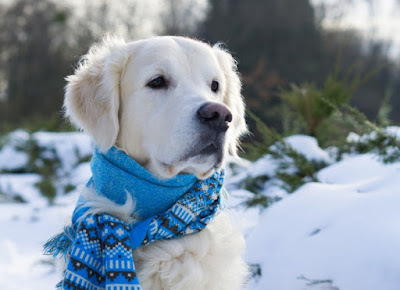 Random Thoughts From A Random Guy: Brrrrr! So my work schedule this week is 2 days off (last weekend) work 2 days (Mon-Tues) 2 days off (Weds-Thurs) work 2 days (Fri-Sat) and then 1 day off (Sunday) before hopefully going back to our regularly scheduled Mon-Fri week. Why? 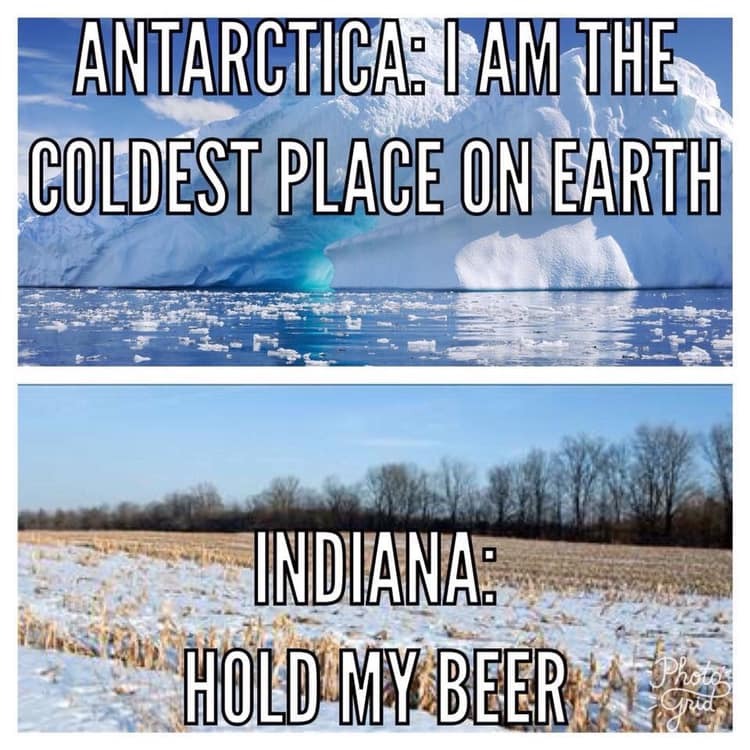 Because it's cold, really cold. See that middle area at the top that reads Elkhart, that's where we are. The straight line that runs from the lake between all those counties, that's the state line for Michigan and Michigan has already declared a state of emergency. 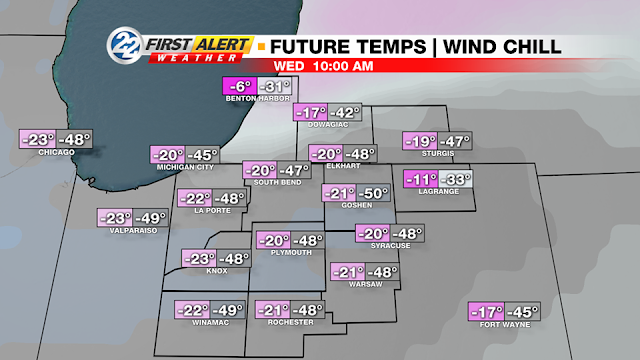 Those are the temps (wind chill/realfeel) for tomorrow (Wednesday). I screencapped this about 15 minutes ago from this great weather app. 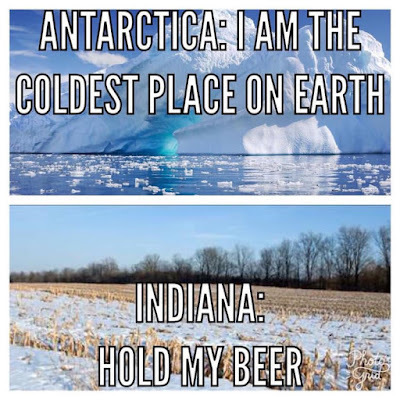 If you love sarcasm, you have to download it (What The Forecast? ), and yes, you can take it off NSFW if you don't like the language. You can see it's sitting at 0° at the moment but you can also see where if feels like -21°. The real problem is that yesterday it got up into the 30's and was raining/snowing which made everything wet and now, the wind is freezing everything over. School was cancelled Tuesday and Wednesday and I'm pretty sure they will probably get cancelled on Thursday as well. The majority of businesses including the city/state government building are closed the next 2 days. I'd have to say the majority of factories (which hardly ever close for weather) are already closed for the next couple of days. 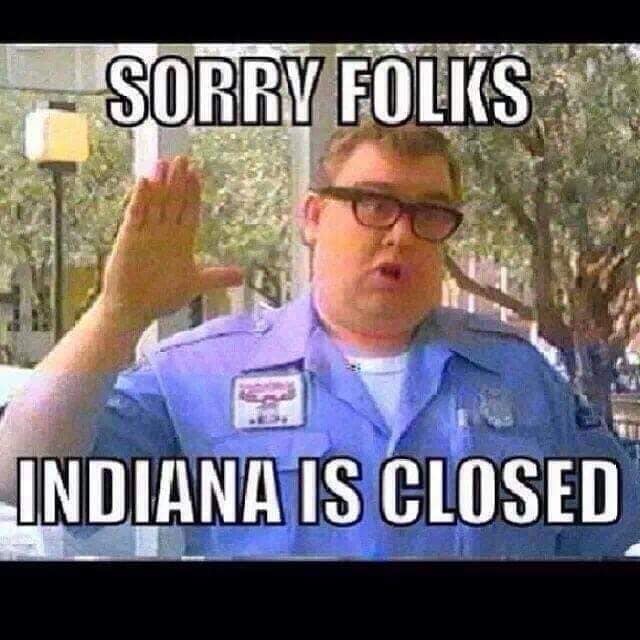 Indiana (northern at least) is pretty much shutting down. Even the USPS isn't delivering tomorrow. For those animal lovers out there. The South Bend Animal Control went around yesterday leaving notes on peoples houses that keep their animals outside, I assume telling them that they need to bring them in today. Today, they are going back to those houses and if the dogs are outside, they are taking them away. They will have to pay fees and fines to get their dogs back. Not to mention, have to fix any repairs done to their fences to get the dogs out. Last check on their Facebook page was they had picked up dogs at 8 different locations. As far as I'm concerned, if they leave their pets outdoors, even in the summer, they shouldn't be dog owners. So I guess I'll be around the house for a few days. Here's hoping the wife doesn't get me doing projects.